Welcome to G’s Pizza! We are excited to be establishing our online presences in order to keep all of our customers updated of all the things we have going on at G’s Pizza and also to give you pizza lovers a little insight about us from time to time. We like to consider everyone visiting as family and we shall treat you as such! 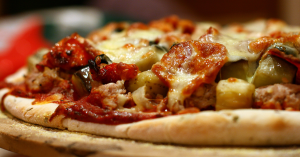 See why pizza is even more popular than mobile phones! Next Next post: Special For Today!! !